Down the stretch they come is the most exciting phrase in horse racing… In that stretch run, the athlete has to be at peak performance as this is the toughest part of the race. 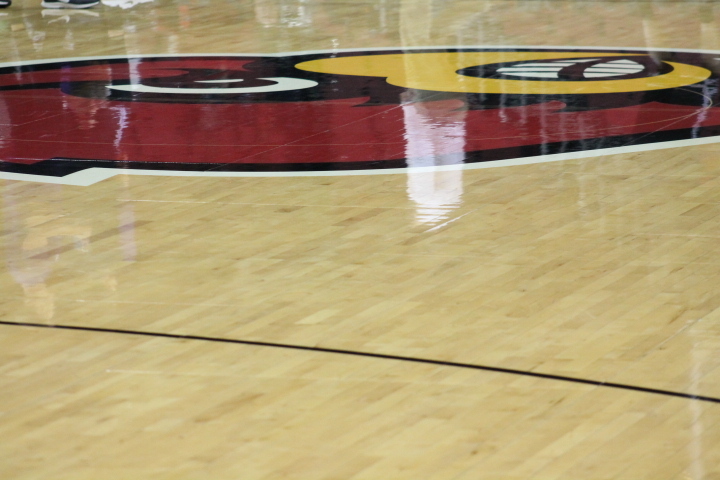 This Louisville Basketball team is coming down the stretch run of their schedule. It will be pretty exciting. And it will be the toughest part of the season for this group. After tonight the final 10 games of the season will include a game with #9 UNC, #2 Duke, Two games with #3 UVA, a game with #12 VT, a game with #25 FSU… and game at Syracuse. Cuse isn’t ranked but there aren’t any easy ones at the Carrier Dome in late February. Folks this is a stretch run. We are going to really find out what this team is made of over the next few weeks. Tonight will feature teams going in different directions in the ACC. Wake Forest has lost six of their last seven games and has been dismal on the offensive end of the floor shooting just 38% from the field in their last five games. It’s hard to make any kind of argument for the Demon Deacons in this game other than they have the home court. In contrast, our Cardinals enter this game playing their best ball of the season and are shooting 46.7% from the field while winning by an average of 16.2 points during their five-game winning streak. Louisville is outscoring teams by an average of 10 points on the road this season. The Cardinals have won three of their last five road games. I don’t know what is going to happen as this team faces the toughest part of their schedule after tonight. But it has been fun up to this point and I’d like to believe that Coach Mack has been building these guys for the stretch run. I’m looking forward to it. Should be another big win tonight. Enjoy it, folks. Go Cards!